Family and friends, come one, come all..... just don't forget to wipe your feet before you come in. 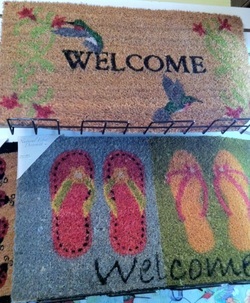 Our great selection of sturdy door mats will help with knocking off any loose grit and grime. Made of recycled plastic for outdoor or indoor use. Non-fading, zero maintenance rugs. 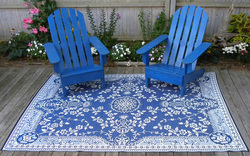 Perfect for patios, porchs, decks, kitchens, playrooms and camping. Beautiful styles, too! 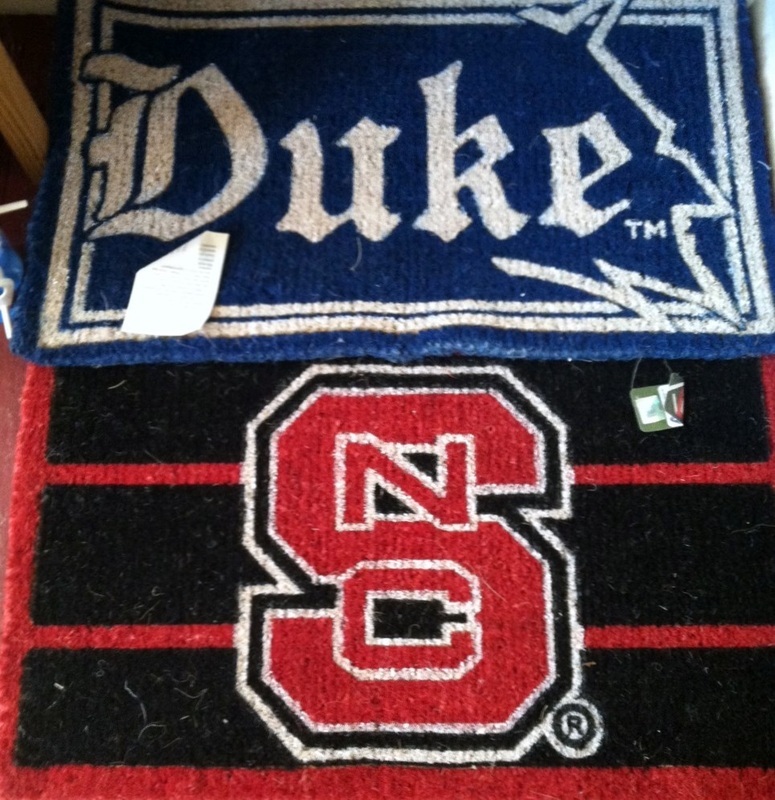 Show your Team Spirit with coir mats for Duke, UNC, NC State!